We’re committing to helping increase the collective health, openness, and civility of public conversation around the world, and to hold ourselves publicly accountable toward progress. By measuring our contribution to the overall health of the public conversation, we believe we can more holistically approach and measure our impact on the world for years to come. Twitter’s health will be built and measured by how we help encourage more healthy debate, conversations, and critical thinking; conversely, abuse, spam and manipulation will detract from it. We are looking to partner with outside experts to help us identify how we measure the health of Twitter, keep us accountable to share our progress with the world and establish a way forward for the long-term. This approach is inspired by work from others in the industry. Cortico, a non-profit research organization, has spent time to more deeply understand the concept of measuring conversational health and developed four indicators to measure it: shared attention, shared reality, variety of opinion, and receptivity. We believe that we can identify indicators of conversational health that are even more specific to Twitter and its impact. We don’t have all of the answers and cannot do this alone, but know that the outcome will be stronger when we look to experts around the world for counsel and support. If you’re interested in helping us define what health means for Twitter and how we should approach measuring it, please submit your proposal through the form below by Friday, April 13. Please make clear in your proposal if this is a joint application with another institution. Successful applicants will collaborate directly with Twitter’s team, receive public data access and meaningful funding for their research. Funding will be provided as an unrestricted gift to the proposer’s organization(s), to be provided in full at the start of the project. Our expectation is that successful projects will produce peer-reviewed, publicly available, open-access research articles and open source software whenever possible. Submissions are due Friday, April 13, and selected applicants will be invited to share further details on their proposals during May and June. We expect to announce the first selected projects in July. This proposal request in no way constitutes an agreement between Twitter and any applicant. The issuance of this proposal request does not imply that Twitter is making an offer to do business. Twitter reserves the right, in its sole discretion, to cancel this solicitation and proposal request at any time during the process. This proposal request is not and shall not be considered an “agreement to negotiate.” Twitter reserves the right to make any award, group of awards, or no award as it determines in its sole discretion. Twitter may, in its discretion, amend, supplement, terminate, modify, negotiate or otherwise change any provision or part of this proposal request, including but not limited to the evaluation criteria, the process used for evaluation, and/or the expected timeline, at any time prior. Any award of this contract will be made to applicant(s) at the sole discretion of Twitter after consideration of the factors stated above. 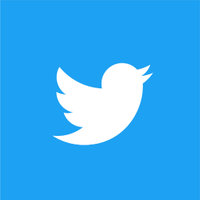 Twitter shall provide only public Twitter data (which shall be used solely for the purposes stated above) and such use shall be subject to additional terms and conditions (including, but not limited to, terms similar to Twitter’s Developer Terms). Further terms may be included in a contract with successful applications. UPDATE: Proposal submission period ended on April 13, 2018.